Savvy traders need to ensure that they always take the ideal position with their stock holdings. If ever they do suffer from losses, experienced traders know how to limit their losses and still come to trade another day. One way to ensure that traders and investors can limit potential losses is by using stop-loss and stop-limit orders on their stock positions. A stop-loss or stop-limit order is a type of order that you place on a stock to get out of the market when it is not possible to place an order manually. It acts to trigger an order to sell or buy when a stock price reaches a certain set level. There is a difference between a stop-loss and a stop-limit order. While they both may help curb down losses or preserve a profitable position before the stock goes down, they work in different ways. Stop-loss orders are types of orders that allow traders to protect long or short positions by instituting a market sell or buy order when a stock reaches a specified price. 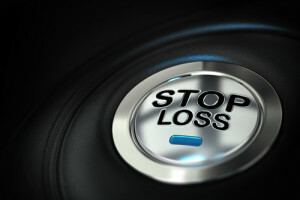 There are two basic types of Stop-loss orders- Sell-stop orders and Buy-stop orders. A sell-stop order is an type of stop-loss order that protects a long position by triggering an order to sell the stock when it reaches an indicated price level. The main aim of the sell-stop order is to put a cap on a losing stock if its price goes down further. Traders and investors usually place a sell-stop order at a price higher than when they bought the stocks. It helps preserve some profits and minimize the losses a stock may have when market prices are falling. A buy-stop order works the opposite way. This type of stop-loss order triggers a buy order in the market for a stock when its price reaches a certain level. The price limit is usually set at a price usually lower than when the trader or investor bought the stock. A buy-stop order is used to protect short positions where a trader may need to return borrowed stock shares sold at a higher price to the actual owner by buying back the same number of stock shares at a much lower price. Stop-limit orders work the same way as stop-loss orders. The only difference is that there is a limit to the price at which the order will be executed. In a stop-limit order, a trader or investor may place an order to execute a trade at a particular price. If a stock does not reach the limit price, no trade is executed. Stop-limit orders enable investors and traders to control the price in which they wish to buy or sell a stock.